A recent review revealed that central nervous system involvement in FIP causes unique clinical signs and histopathology. Feline infectious peritonitis (FIP) continues to be one of the most prevalent infectious diseases of cats worldwide. 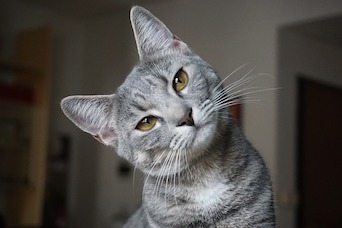 Caused by a mutant form of feline enteric coronavirus (FECV), FIP causes inflammation in multiple organs and can even target the central nervous system (CNS). Daniel Rissi, DVM, MS, PhD, DACVP, from the Department of Pathology at the University of Georgia College of Veterinary Medicine, recently provided an updated, in-depth summary of neuropathology associated with FIP. The author accessed data from 26 reports of FIP with neurologic involvement. Affected cats presented to the University of Georgia Department of Pathology and Athens Veterinary Diagnostic Laboratory over a 10-year period. Cats ranged from 2 to 36 months in age. In descending order of frequency, clinical signs included ataxia, depression, seizures, and head tilt. Rabies was suspected in 11 cases. Necropsy revealed several gross neuropathologic signs, including hydrocephalus, cerebellar herniation through the foramen magnum, cerebral swelling, and fibrin accumulation in the ventricles or leptomeninges. How Can Targeted Antiviral Drug Therapy Be Used to Treat FIP? Examination of archived histologic samples revealed that all 26 cases of FIP with neurologic involvement could be localized to 1 of 3 areas. In the first group, inflammation was centered within or surrounding the ventricular system, often causing ventricular obstruction and secondary hydrocephalus. The second type involved inflammation of the brainstem and cerebellum, while the third type involved inflammation of the leptomeninges and superficial cerebral or cerebellar cortex. The author hinted that these variations might occur due to differences in viral mode of entry and pathogenesis, although further research is indicated to confirm this hypothesis. Regardless of lesion distribution in the brain, all cases demonstrated perivascular accumulations of mostly lymphocytes and plasma cells, with variable numbers of macrophages and neutrophils. Vasculitis was also reported in the majority of cases. According to the author, “definitive clinical diagnosis of FIP is challenging” and should utilize findings from blood and cerebrospinal fluid analysis, as well as direct or indirect detection of the virus. In the 26 cases examined, FIP was presumed at the time of death based on histologic findings; however, fluorescent antibody testing provided a confirmatory diagnosis in only 41% of tested cases. Indeed, laboratory tests can have a high false-negative rate for FIP diagnosis or, in the case of polymerase chain reaction, cannot distinguish between FIP and FECV infections. Immunohistochemistry (IHC), which the author later performed on archived tissues, confirmed FIP diagnosis in all 26 cases by detecting the viral antigen directly. Thus, he concluded that “IHC is a much more reliable test” than fluorescent antibody testing for confirmation of FIP diagnosis. Neurologic signs in cases of FIP may occur alone or in combination with systemic FIP, and 3 distinct distributions of lesions are possible within the CNS tissues. In this retrospective study, 77% of the examined cases also had FIP lesions in other organs, and the neurologic form of FIP was more frequently associated with noneffusive than effusive FIP. Dr. Stilwell received her DVM from Auburn University, followed by a MS in fisheries and aquatic sciences and a PhD in veterinary medical sciences from the University of Florida. She provides freelance medical writing and aquatic veterinary consulting services through her business, Seastar Communications and Consulting.